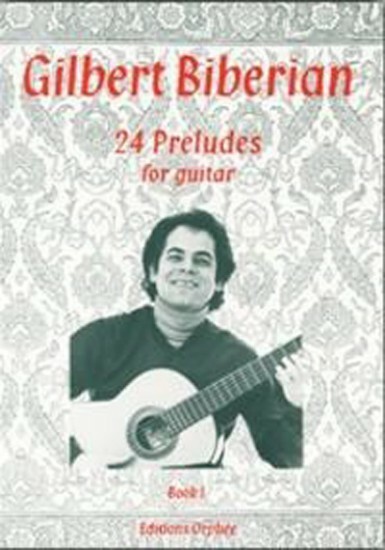 Gilbert Biberian is one of the most innovative performers and composers working in the field of the classical guitar today. He completed his schooling in Leeds where he also began his musical education with jazz clarinetist Vic Bennett. In 1968 he graduated from Trinity College of Music, continuing his studies with James Patten, Elisabeth Lutyens and Hans Keller, and interpretation with the pianist Antony Kinsella. Following a successful debut in the Wigmore Hall in 1969 he was invited to work with the London Sinfonietta and Pierre Boulez, Luciano Berio, the Nash Ensemble, the BBC Symphony Orchestra as well as many others. In 1980 he left the Omega Guitar Quartet, a group he formed in 1972, to pursue his flourishing solo career. His concerts are greeted with much acclaim for their high artistry and musical energy. Although a prolific composer himself, he has also stimulated much original compositions by various front-rank composers. He is regarded as one of the major composers for the guitar of all time. His compositions have been published in England, Italy, Holland and the U.S.A. He has edited guitar series for J & W Chester and for Peters Edition. His guitar works are being widely performed, broadcast and recorded.